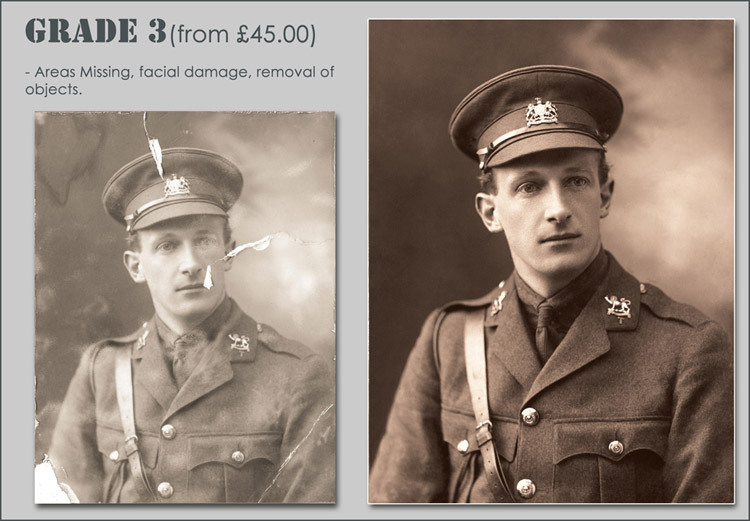 Grade 3 Areas missing, facial damage, removal of objects. 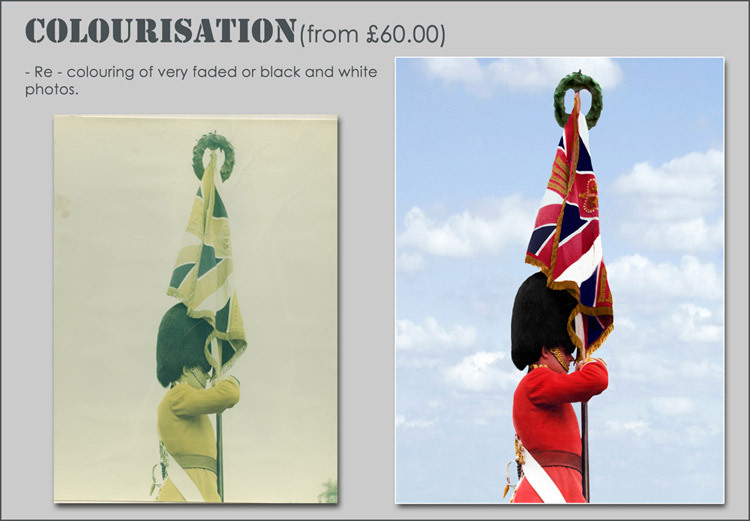 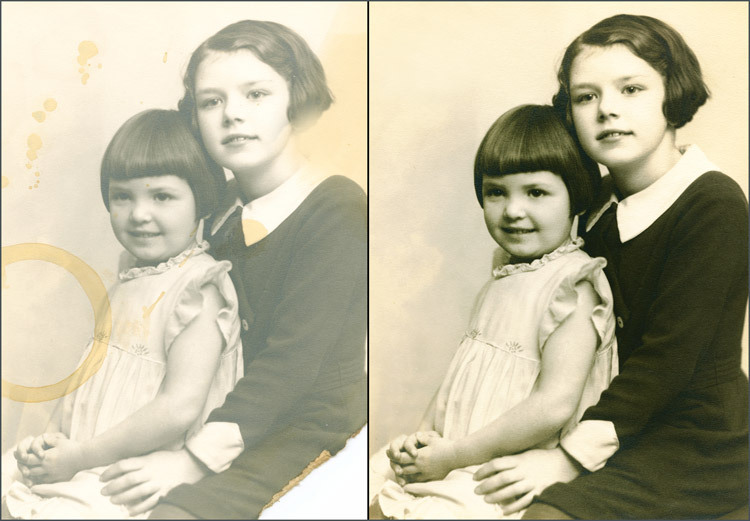 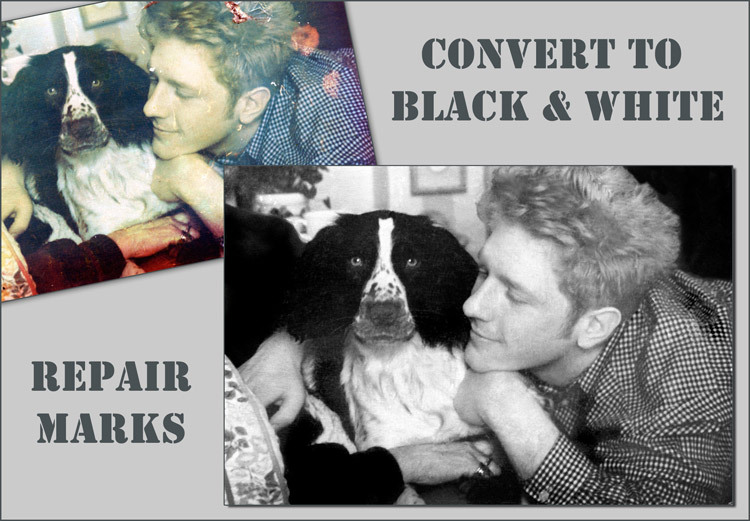 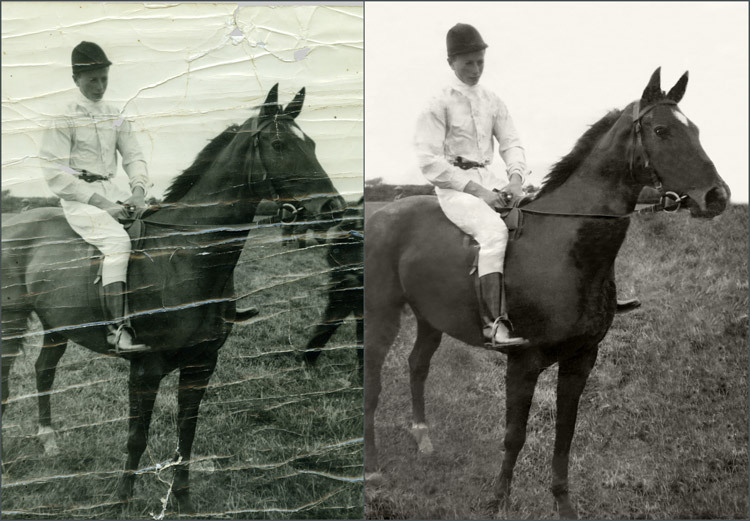 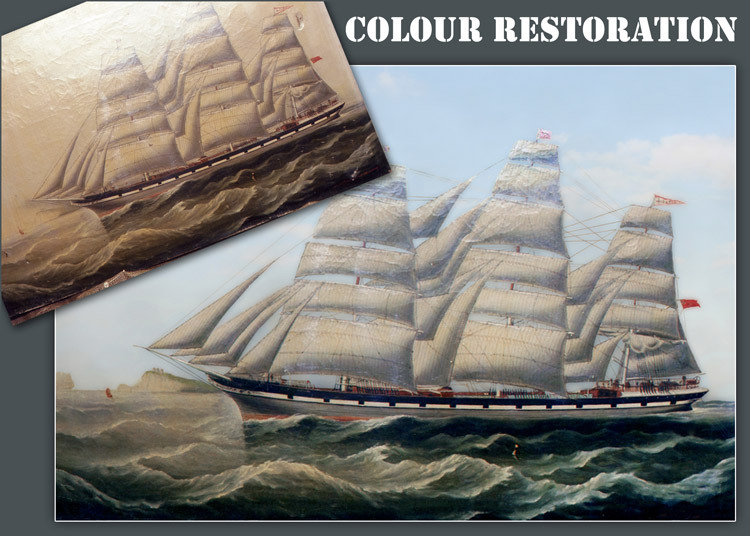 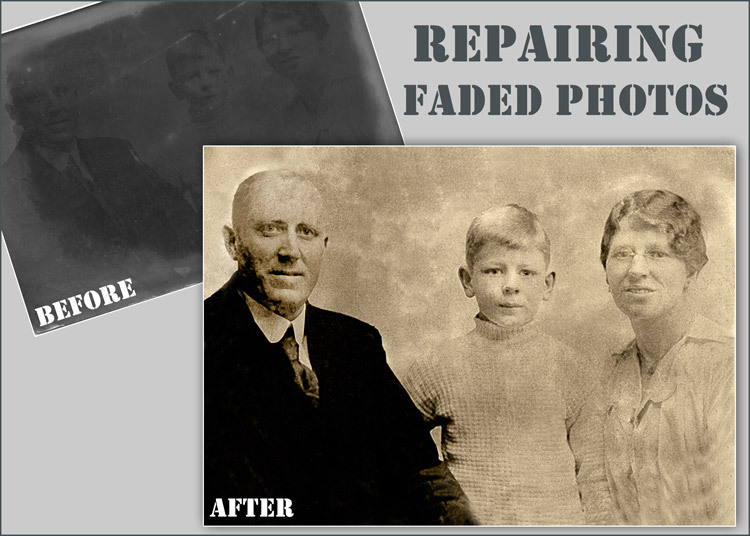 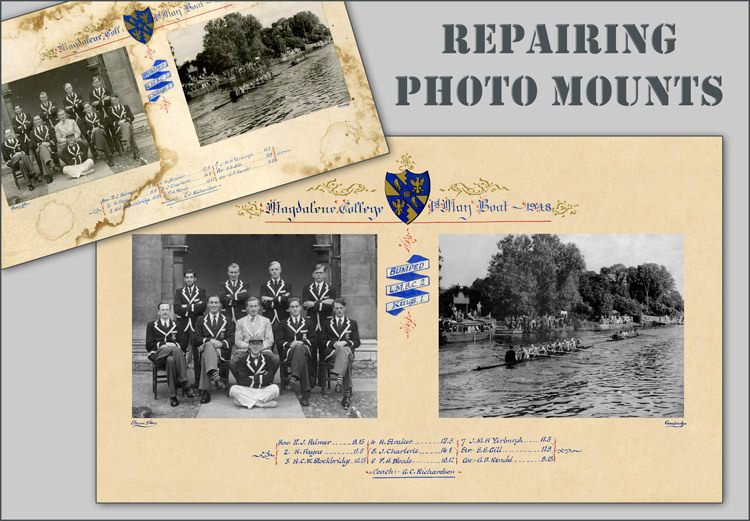 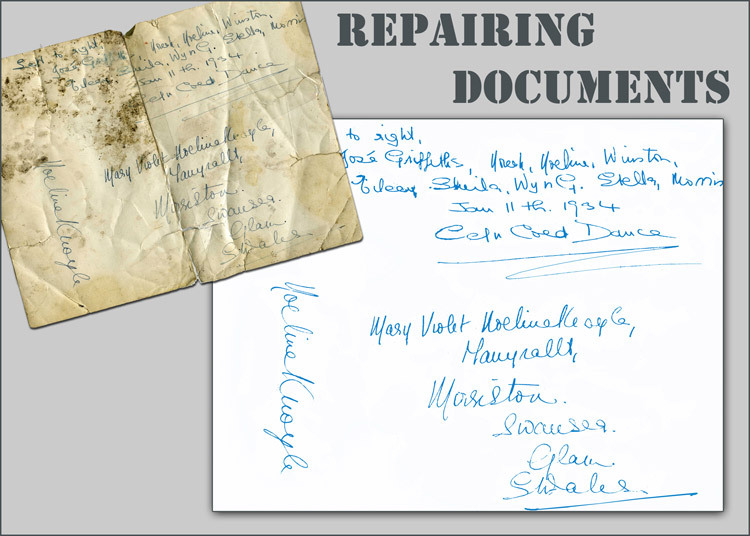 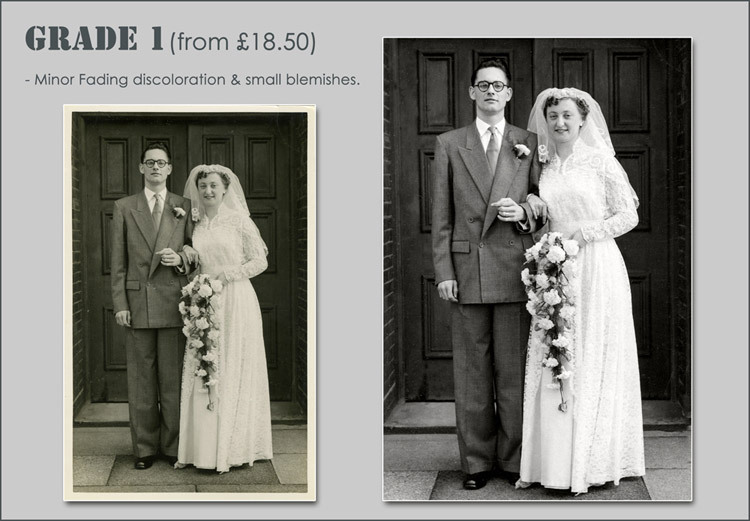 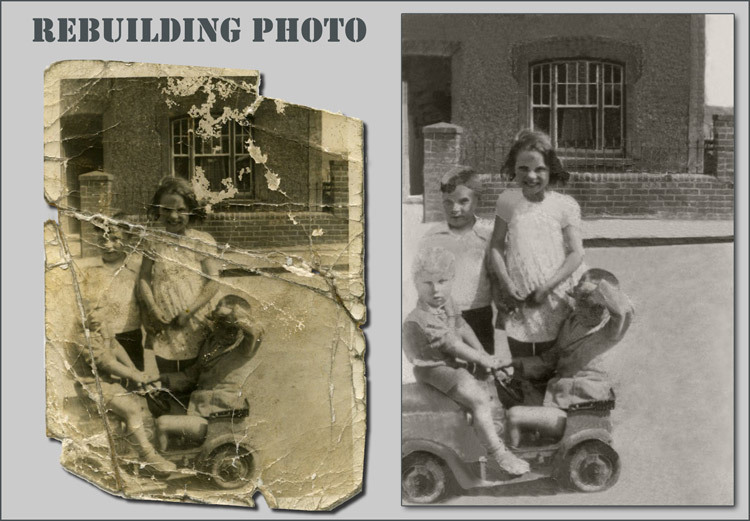 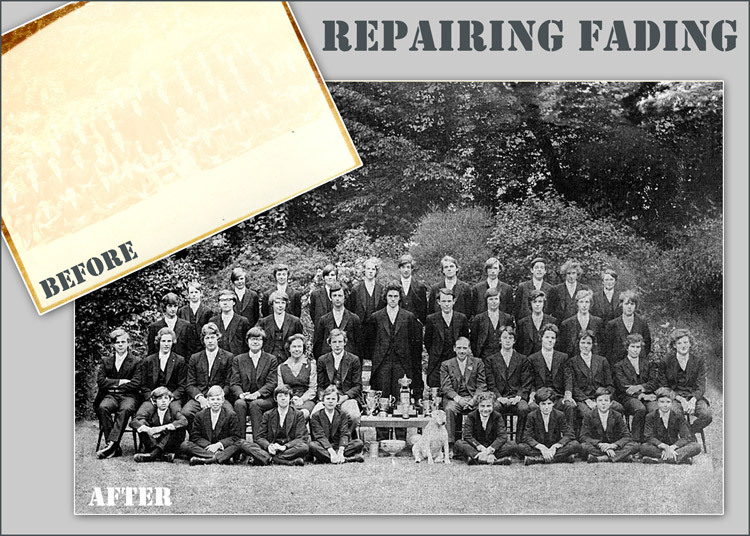 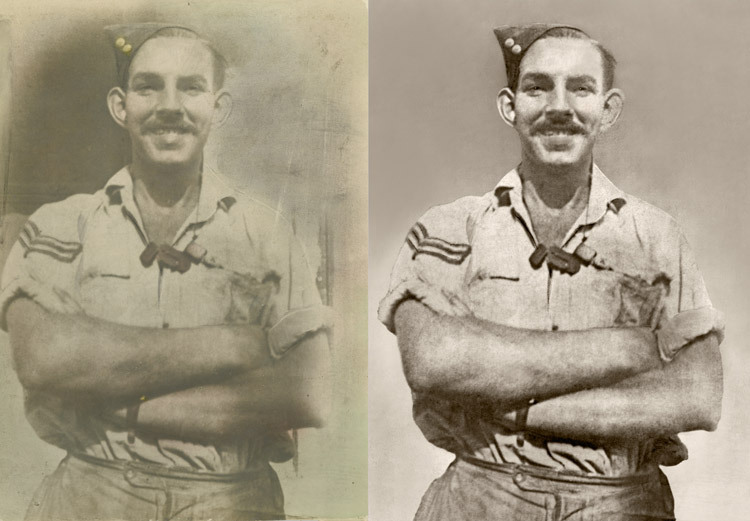 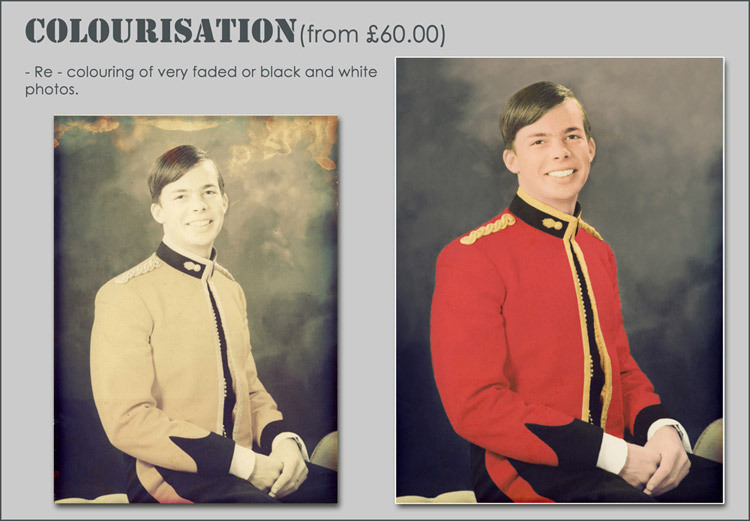 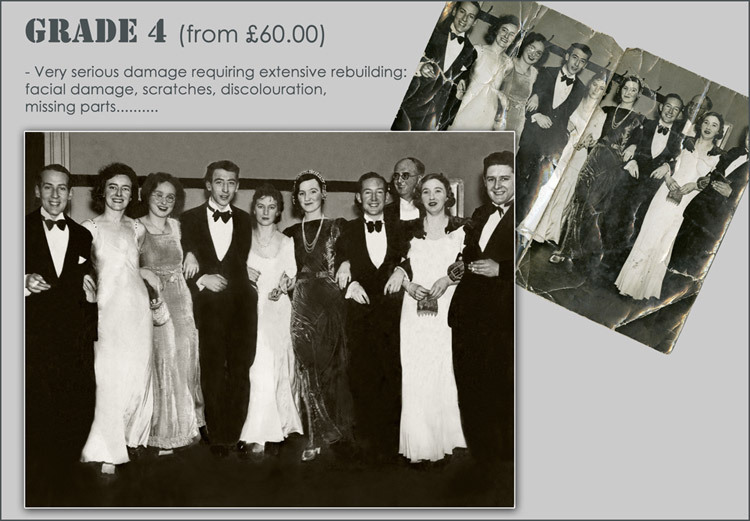 We print all of our photos on site, onto archival quality, lustre photo paper which will give your photo another 100 years of life. 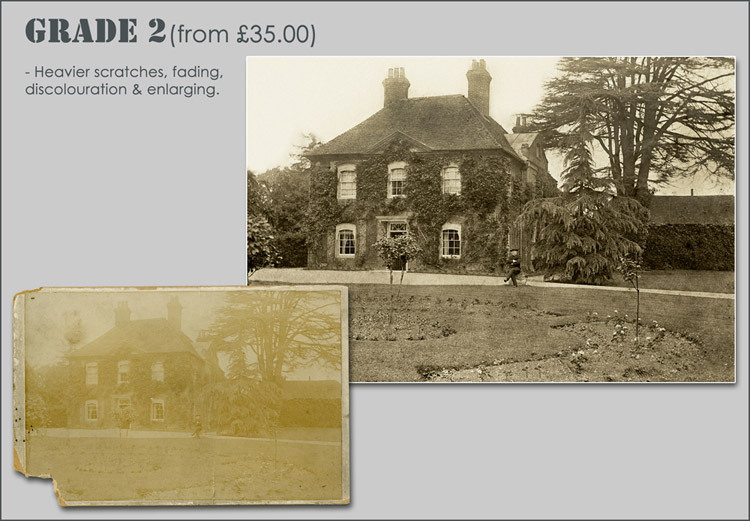 If you would like a proof by email before printing let us know.